Are you addicted to workplace technology? The idea of being too heavily reliant on emerging tech is a problem major organizations have been grappling with lately. Whilst employers want their workforce to utilize digital tools to enhance productivity, technology is a double-edged sword. How much tech is too much? A recent report from The Branded Research Inc found that 75% of employees are constantly distracted by digital notifications – to the point that it’s negatively impacting upon their work ethic. In fact, the research highlighted that most people spend eight hours every week just checking these messages. The advent of communicative tech, such as Skype and Slack, has built something of a virtual office inside our workplaces. On the positive side, it means we can always be reached by our colleagues. On the negative side, it means we can always be reached by our colleagues. The culture of being constantly ‘switched on’ is having a damaging effect on employee mental health – which in turn is leading to a drop in overall productivity. 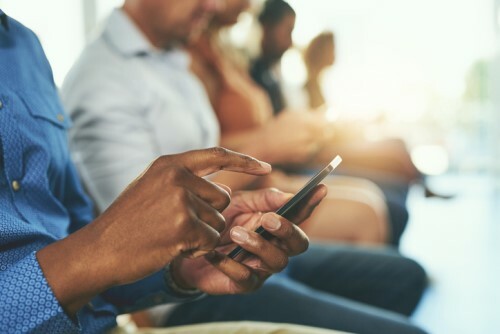 A study from remarkable found that 38% of employees would like to be allowed to use their phones less, with 66% claiming the threat of constant notifications is sapping their focus. And this doesn’t just relate to mobile phone messages. Sixty-nine percent of respondents believe emails are having a negative impact on their work, whilst 53% have actually deleted an app because it continually stole attention away from their work. "The destructive global phenomenon of digital distraction is undeniable and must be taken seriously to avoid further jeopardizing our ability to think in a noisy, fast-paced world," added reMarkable CEO, Magnus Wanberg. "It's time we fight back against society's profound addiction and create a more human direction for technology." So, what can HR do? To start with, it’s essential you remind your employees that technology is here to serve them, not the other way around. It’s okay to turn off your work emails. One HR boss went a step further and told employees to avoid answering any work-related email or call after hours. Jodie Shelley, head of HR at 2degrees – the innovative company in question – said: “The trial aims to empower our people to leave work behind when they go home for the day. Speaking of techno-fear, HR Tech News recently posed the question – are we right to fear AI? Share in our heated debate here. Are these those most archaic HR Tech ideas? Review of the Week: Do you use Bridge LMS?